An Edmonton woman died after being given double the prescribed dose of a powerful psychiatric drug that is not approved for patients with dementia, CBC News has learned. An autopsy report, obtained by CBC News, shows 61-year-old Carol Pifko died on May 1, 2009 because of an "adverse reaction to olanzapine," which is commonly known as Zyprexa. In June 2005, Health Canada issued an advisory stating that Zyprexa, and other similar drugs, "are not approved for treating behavioural disorders in elderly patients with dementia." Medical records obtained by CBC News show Pifko was not only prescribed Zyprexa, but at twice the dose ordered by the doctor. "It was shocking," Carol Pifko’s daughter, Jodi, told CBC News. "They let me down. They let my mother down. It was horrifying." 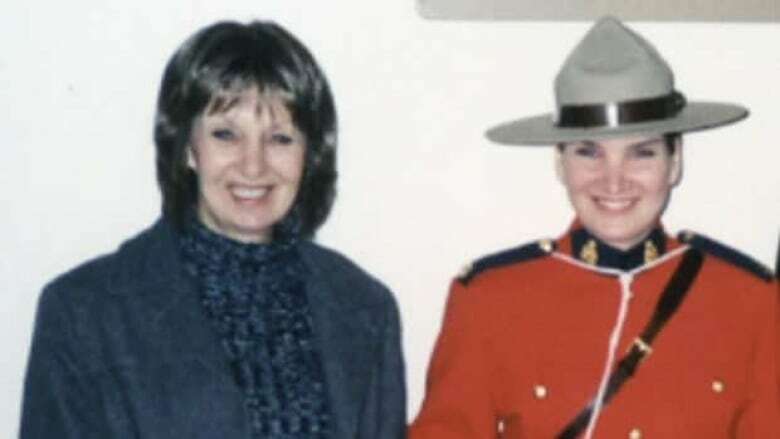 Jodi Pifko, an RCMP officer, moved her mother to Edmonton from Thunder Bay in 2008 after she was diagnosed with dementia. Carol Pifko eventually moved to the Norwood Continuing Care Centre in Edmonton. As her condition worsened, she became anxious, agitated and paranoid. Then in late April 2009, Carol Pifko’s condition abruptly changed. Jodi Pifko said she was shocked by her mother’s appearance. She was lethargic, confused and dishevelled. Her condition worsened, she developed a fever, became delirious and lay in bed twitching, her limbs rigid. She was transferred to the Royal Alexandra Hospital in Edmonton. Alarmed by her mother’s worsening condition, Jodi Pifko sought advice from an online support group for people caring for parents with a rare form of dementia. After she described her mother’s condition, someone online told her it sounded like her mother was being prescribed anti-psychotic drugs, which can be deadly for seniors with dementia. Jodi Pifko soon learned her mother was being prescribed Zyprexa at Norwood. On the evening of April 29th, she phoned the Royal Alex and told a nurse that if her mother was still being prescribed that drug, it must be stopped immediately. "Basically they said it was up to the doctor," Jodi Pifko said. "It wasn’t up to me. But they wouldn’t let me speak to the doctor." Medical records show Carol Pifko received two more doses of the drug. At 12:12 a.m. on May 1st, Carol Pifko died. "My mom died because of a drug they gave her that they told me nothing about," Jodi Pifko said. "I didn’t even know she was on the drug. I didn’t know that the drug wasn’t approved for people with her condition, and that it could cause death." A fatality inquiry into Carol Pifko’s death began Monday. Dr. Bernard Bannach, Edmonton’s deputy chief medical examiner, testified that studies have shown anti-psychotic drugs can increase the risk of death in seniors with dementia by as much as 60 per cent. For that reason, Bannach said those drugs carry what is called a "black box warning," on the drug box or bottle itself, telling medical staff it is not approved for seniors with dementia. Bannach said that from reading Pifko’s medical records, she presented every "classic" symptom of an adverse reaction to the drug. He also testified the records showed she had been given double the prescribed dose while she was at Norwood Continuing Care. Jodi Pifko said other people with parents suffering from dementia should demand to know how they are being treated and which drugs they are being prescribed. "Look into it," she said outside the inquiry. "Don’t just trust what is going on. I completely trusted my mom’s care and I really didn’t question anything. I thought we had the best healthcare system in the world until this happened." The inquiry is expected to hear testimony on Tuesday that, despite Health Canada warnings, anti-psychotic drugs continue to be widely prescribed in Alberta to seniors with dementia.